Ukraine’s President declared over 37,000 dollars of income received from the deposits in International Invest Bank. Poroshenko’s declaration appeared in The Unified State Register of Declarations on Friday. In the declaration published President declared income for the total amout of 1 million hryvnia, which is more than 37,000 dollars. 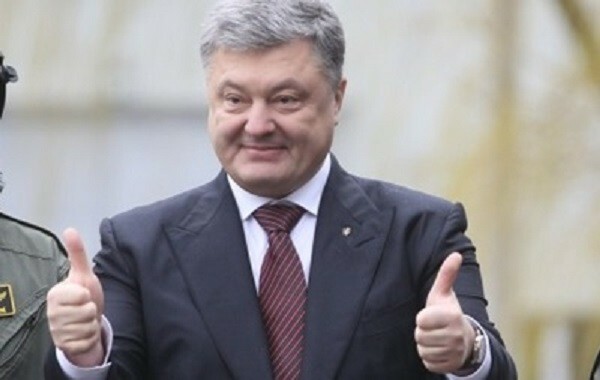 As it was reported earlier last year President of Ukraine applied his e-declaration with 800 000 hryvnia and 60 000 of dollars of cash, hastening to asseverate that all his multiple real estate and movable assets were bought before his presidency. Petro Poroshenko wrote that in Facebook. At that he pointed out that he keeps money in banks – “27 billion dollars, each penny of which was taxed and paid in favor of the budget of Ukraine” and 800 000 hryvnia and 60 000 dollars in cash.